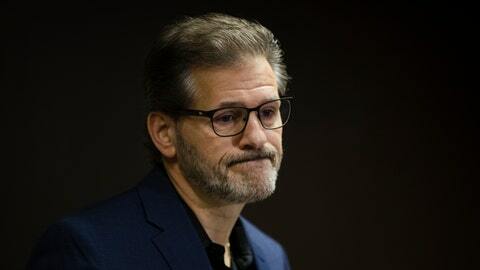 Hextall had preached patience and tried to rebuild the Flyers through the draft instead of making short-term fixes with high-priced veterans. When the development didn’t come quick enough, Hextall was given the boot. “There were a lot of things that just went the wrong way on us,” Hextall said. “I didn’t feel we were at go-time,” Hextall said. The Flyers had two first-round playoff exits in Hextall’s tenure and they show no sign this season of winning the franchise’s first Stanley Cup since the back-to-back titles in 1974-75. Hextall was criticized for refusing to listen to scouts and advisers and had been accused of cutting off alumni access to the team. Hextall, a star goalie and one of the franchise’s more popular players, had wanted his own process on his terms. He said Friday at a hotel across the street from the team’s New Jersey headquarters that he was wrong to deny former players access to the locker room during an alumni game. But he said he was a team player in contact with scouts and other key personnel and was close a few times on making a major deal or signing a key free agent that could have helped the Flyers.